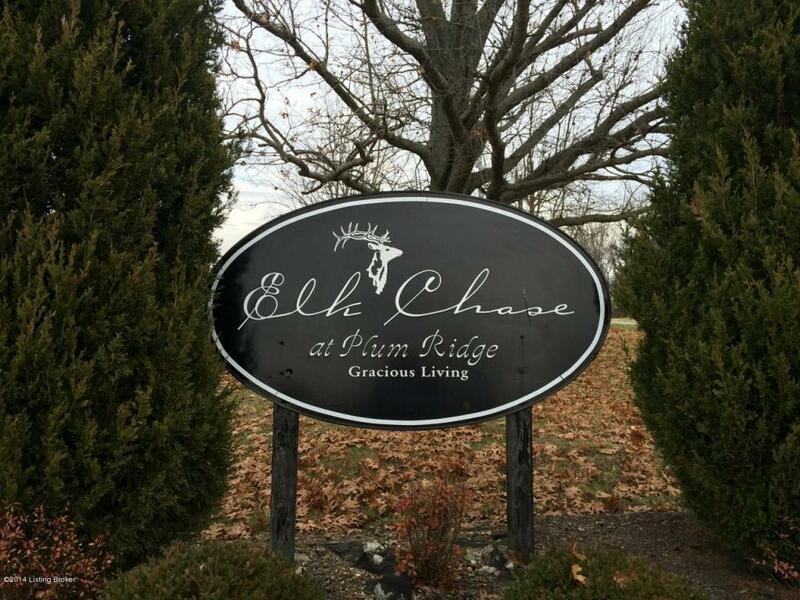 Elk Chase at Plum Ridge is a 146 acre development with beautiful rolling hills including an abundance of natural wildlife. Easy drive to I265 at Taylorsville Rd or I64 in Shelbyville. Also, easy drive to Mt. Washington. There is a beautiful entrance lake with a large fountain and signature stone lighted entrance. Fall away, wooded or flat lots available. City Water, 20' Double Wide Paved Streets, Street Lights, Underground Utilities. Square-Footage Requirements: 1750 minimum, for ranch, 1.5 Story minimum 2000 sq Ft, 2 story 2200 minimum sq Ft all with attached garage. This is an all brick or stone community and each lot has its own unique charm. HOA fee $200.00/year Call to get more information and plats.